F1 2016 is a great video game to play for racing car fanatics. Deals and voucher codes that you can use at reputable online UK sellers such as Google will certainly not disappoint you. Our team of enthusiastic bargain hunters has gathered and tested the latest F1 2016 deals so you can be assured that any voucher code is up-to-date. You are sure to find something right within your budget. Get a F1 2016 video game with just a few clicks and you will definitely save a lot of money on your purchases. 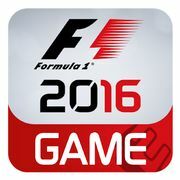 F1 2016 for PS4. Only a few left at this price!